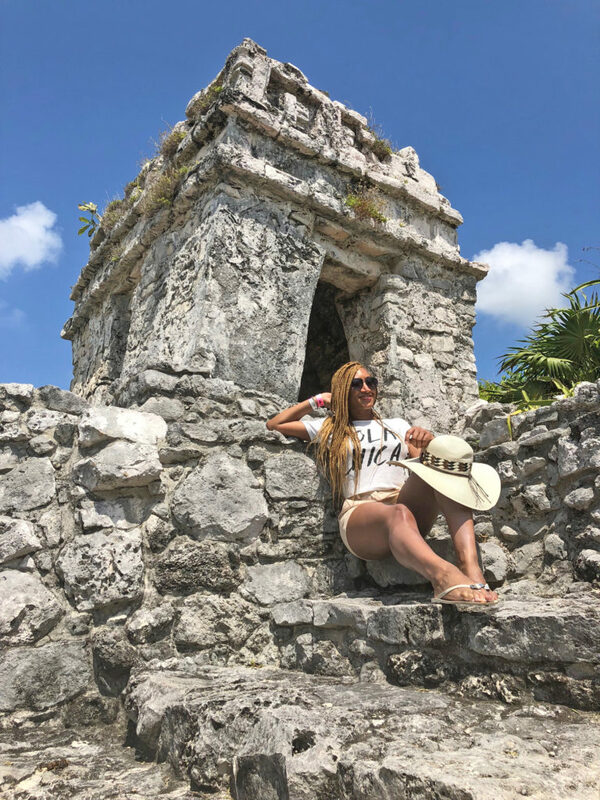 More and more as I hunt for great destinations Tulum, Mexico has begun to pop on my must visit list and of course I always try to go where the winds take me so in my most recent trip to Cancun I booked a day tour to Tulum. 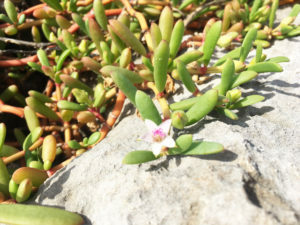 Once a busting city and port Tulum embodies the spirit of native peoples who once inhabited the land. When trade became prohibited by invaders from the East the bustling city died and was only rediscovered as a tourist destination in modern times. 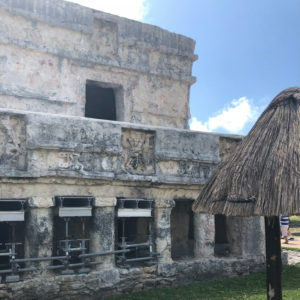 A trip to Tulum is just a short car ride from Cancun and many of the hotspots both pay reverence to the history and people that cultivated the land and showcased the beautiful landscapes of the area. While Tulum offers some of the most amazing beaches in Mexico and popular freshwater cenotes on a day tour your limited time forces you to prioritize what you want to see most. 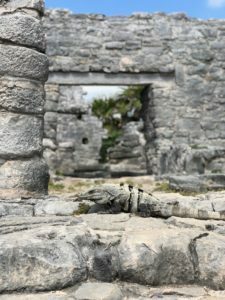 Without question for me it was the Mayan ruins the walled city of Tulum is renowned for. The attraction built around the ruins features local vendors and showing and water holes, even some of the familiar sort such as Starbucks. The fact that it is a tourist destination is well established so if you are looking for deals and steals when it comes to shopping you will not find it there. What you miss in bargains you gain in a chance to journey back to the Mayan port at its peak. They have Mayan pole flyers and other performers dressed in traditional Mayan clothing and performing centuries old rituals and dances. That alone was enough to get me super excited. Form this entrance hub you can chose to visit the beach onsite or visit the Tulum Ruins. As history is my thing the Tulum Ruins were my top choice. We visited with a tour that gave a brief history of the beautiful lands and people of the Mayan civilization so it really put in context just how amazing the ruins were in their time. With the quick tour out of the way you are able to explore the seaside village. Something about ruins always opens my mind to exploring just life was for people in this well-established civilization. From their housing to buildings to even worship centers the city is a tribute to their advancement and ingenuity. Do take note that although exploring is fun this is a pretty hot very open area. There a re few places to run for cover and even as early as April it is pretty hot with few places to stop and rest. The ocean breeze becomes even more refreshing in this case as you have the opportunity to enjoy the beautiful Cliffside views from the ruins. Although short Tulum was a great break from standard Cancun expeditions and when you add in excursions you can make a day or weekend of magic in this Mayan playground. Sometimes you just need to get away and when that happens the white sand beaches and crystal clear water Cozumel may be calling your name. 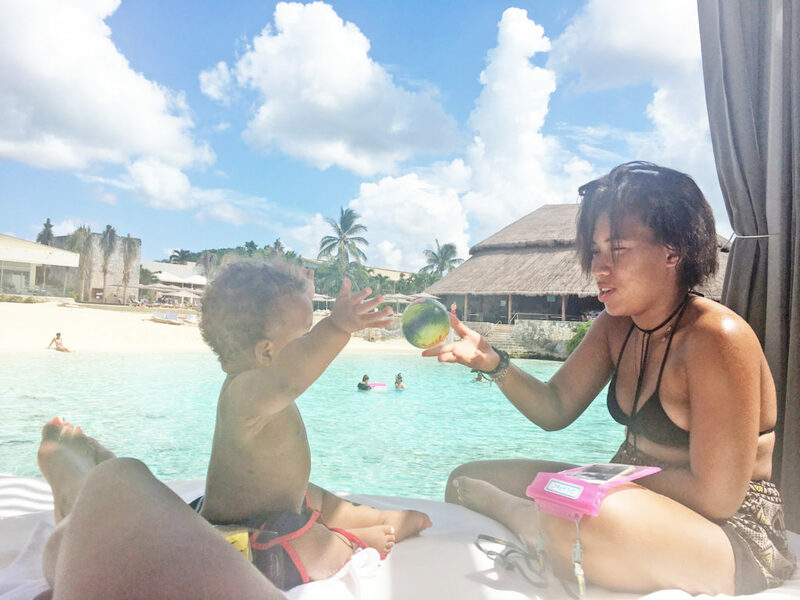 This summer I did a quick summer getaway to Cozumel and it turned out to be just what the doctor ordered in getting some major R & R packed into my summer. As an island getaway Cozumel offers all the fun in the sun you would expect from Mexico with a small cozy feel perfect for taking a vacation that you don’t need a vacation from once you head back to real life. I think the beauty of the beaches in Cozumel are reason enough to check out the island. The fish meet you at the water making it a great location for snorkeling, especially if deep water swimming is not your thing. With the warm water you can also take advantage of all of the great other water sports like jet skiing and scuba diving. My favorite is probably sitting where the sand and water meeting enjoying a pina colada but to each their own! Outside of the water fun Cozumel is a beautiful place that gives you glimpses of big city fun and exotic adventures. If you are in a party mood their central district has some great bars and food all piled into one place where drinks flow with ease. If you want to step back in time you can visit some of the great Mayan pyramids on the island. My choice for Cozumel (outside the United last minute special ticket price) was the rest and relaxation so I refused to lose focus from my goals, despite the fun options that abounded on the island. As I hopped between the ocean, my beach chair, the bar, and the pool I knew I made the right decision as I got my fill of downtime on the lovely beaches of Cozumel.